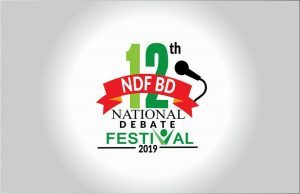 At the secondary school level, IDEA debaters follow the Karl Popper debate format, which places students in two teams of three members. Teams are presented with a ‘resolution’, such as “Economic development should be valued above protection of the environment” or “Human genetic engineering is immoral”. The team affirming the resolution speaks first. The opposing team then must refute the arguments offered by the affirming team and offer arguments rejecting the resolution. Both sides are given the opportunity to present their positions and to directly question the opposing team. Neutral judges – usually parents or teachers – evaluate the persuasiveness of the arguments and offer constructive feedback on such elements as faulty logic, insufficient evidence and arguments debaters may have overlooked. Debate teams are judged strictly on the merits of their arguments.